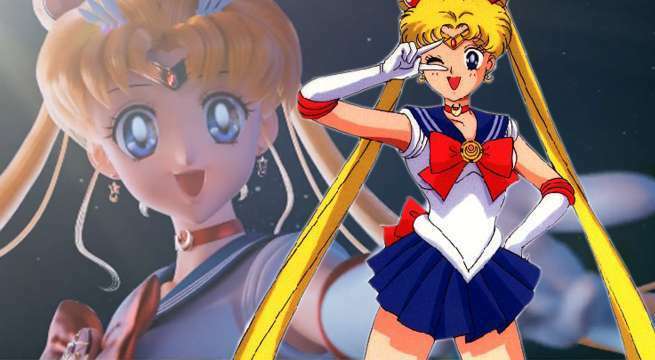 Want to become the one named Sailor Moon? We may not live in an anime world, but you can still team up with the magical girl if you’d like. All you need to do is buy tickets to the upcoming Sailor Moon: The Miracle 4D attraction over in Japan. Over on Youtube, fans just got their first look at the special Sailor Moon event. Universal Studios Japan will be opening the 4D film attraction as part of a summer series. This ad shows off Sailor Moon as the CGI-crafted heroine comes to rescue park attendees who are attacked by a celestial baddie. As you can see above, the short clip shows a galactic villain terrorizing a group of park attendees. The grey vixen appears to be Morga, and her demonic facade looks totally demented. She is seen screaming at park goers before Usagi Tsukino appears and transforms into Sailor Moon. The heroine teams up with one attendee to fight, and the cute pair end the ad by striking the magical girl’s signature pose. According to Universal Studios Japan, the 4D film will follow Morga as the villain is sent to Earth by Jadeite. The monster is tasked with gathering human energy at a jewelry store, and Sailor Moon will need the help of attendees to take down Morga. Visitors will even be able to buy magical weapons outside of the attraction like the Cutie Moon Rod to help Usagi along. After the attraction ends, there will be other Sailor Moon events to attend at the park. A full line of merchandise will be sold in conjunction with the 4D film, and park goers can also take photos with Tuxedo Mask and Sailor Moon if they buy the Sailor Moon Express Pass. If you want to check out the event for yourself, it begins this spring. Universal Studios Japan will kick off the anime attraction on March 16 and run it until June 24. Other anime franchises like Detective Conan will get attractions at that time as part of the Universal Cool Japan 2018 event. Do you want this ride to be brought to Universal Studios Orlando one day? Let me know in the comments or hit me up on Twitter @MeganPetersCB to talk all things comics, k-pop, and anime!